Raw organic cashew nuts boast a deliciously intense, rich creamy flavour and, as they’re processed without the use of heat, retain an optimal amount of valuable nutrients including minerals (e.g. potassium, calcium, sodium, magnesium, iron, copper, zinc and phosphorus), vegetable protein, omega 3 fatty acids, essential amino acid and antioxidants. Delicious as snack between meals, especially when added to homemade trail mix, organic cashew nuts are also an ideal superfood ingredient in a variety of rawfood recipes such as raw chocolate, cakes and desserts. Our rapturous raw cashew nut cheesecake recipe below is not only loaded with organic cashew nuts, it’s also entirely free from dairy products meaning that it’s suitable for those who are lactose intolerant. And this irresistible rawfood recipe contains no refined sugars, using the nutritious raw honey instead. First soak the cashew nuts and the macadamia nuts separately in cold water for approx. 4 hours, before rinsing and draining. Next place the organic macadamia nuts and the organic dried dates into your blender and blitz into small, sticky crumbs. Take a cake tin and coat the bottom with a generous sprinkling of desiccated coconut and then press the macadamia nut and date mixture into the tin to form the base of your cheesecake. Now add the organic cashew nuts, coconut oil, lime juice, raw honey, vanilla bean powder and 6 tbsp. of water into your blender and blend until smooth. 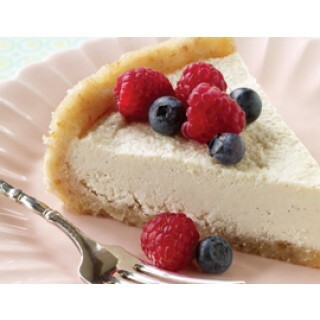 Spoon this mixture evenly over your cheesecake base and then pop into the freezer for around 2 hours. 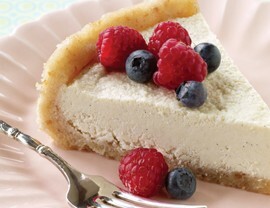 Finally, remove the cheesecake from the freezer and top with fresh blueberries or other fresh berries of your choice. Defrost for approx. 30 minutes and serve as the perfect finale to your dinner party.